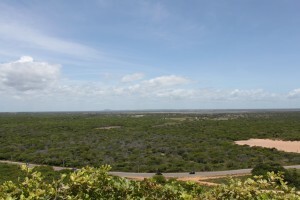 The Agriculture Committee of the House of Representatives approved on Wednesday (13th of June 2012) the text of the bill that allows the acquisition of large plots of land by Brazilian companies controlled by foreigners. Today, the actual limit is up to 100 “fiscal units” (módulos ficais). Today, by law, foreign companies can buy up to 5 000 hectares, never exceeding 25% of the municipal area of the location of the farm. Citizens of the same foreign nationality can not together have more than 10% of the area of a municipality. The text proposes that Brazilian companies with foreign capital are treated as domestic companies, no limit for land acquisition. The companies and foreign people, who currently limit the acquisition of 100 and 50 fiscal modules, respectively, can now acquire up to one quarter of the municipality where the farm. The proposal also eliminates the authorization or license from the National Institute of Colonization and Agrarian Reform (Incra) for acquisition by foreigners of rural property tax of up to four modules and rental tax of up to ten modules. The legislation established the current limit of three modules operating indefinitely. The acquisition of land by non-governmental organizations (NGO’s) with foreign capital or headquarters outside of Brazil, which is not mentioned in current law, is prohibited in the new proposal. Upon approval, the report will be turned into a bill and distributed to other committees for analysis, then, be voted on in Congress.